Take a factory tour of the largest hand-made manufacturer of Teddy Bears in North America. See how we lovingly create each one of our unique bears or create your own in our "Make A Friend For Life" factory. Open daily. $4.00 for ages 13 and older, $3.00 for seniors. Children 12 and under are free. 1/2 mile south of the Shelburne Museum on RT 7. (802) 985-3001 for info. 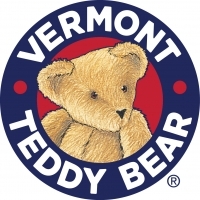 Vermont Discount Card bearer entitled to a 15% discount on their purchase, as well as a Free adult tour with the purchase of a full priced adult tour. Tour for children 12 and under are FREE! Come see where the best Bears in the universe are born! After your tour, enjoy shopping in our fun-filled Bear Shop, and be sure to stop by our Make a Friend For Life area and make your very own Teddy Bear! Offer cannot be combined with any other discounts or promotions. Vermont Discount Card bearer entitled to a 15% discount on their purchase, as well as a FREE adult tour with the purchase of a full priced adult tour. Tours for children 12 and under are FREE! Come see where the best Bears in the universe are born! After your tour, enjoy shopping in our fun-filled Bear Shop, and be sure to stop by our Make A Friend For Life area and make your very own Teddy Bear! Offer cannot be combined with any other discounts or promotions.